So, here's my very first Vampire Knight wallpaper, featuring Kuran Kaname-sama. I really tried to give it a simple, yet slightly creepy feel. 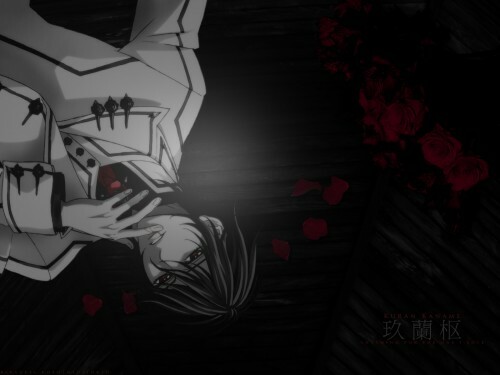 (And, I didn't want to have a lot of blood in it, even though the definition of Vampire Knight is "Blood-covered-red-rose-petal-scattered LOVE!") Does it look alright that way? I hope so. Layers: Er... 30ish? Sorry, I usually merge my layers for ease of altering, so I lose track about halfway through. lovely choice in wall paper. i love how the roses are in the BG. Wwwwwwoooooooowwwwww! I luv it soooo much! Thnx sooo much 4 sharin!